Lost your shaker of salt? 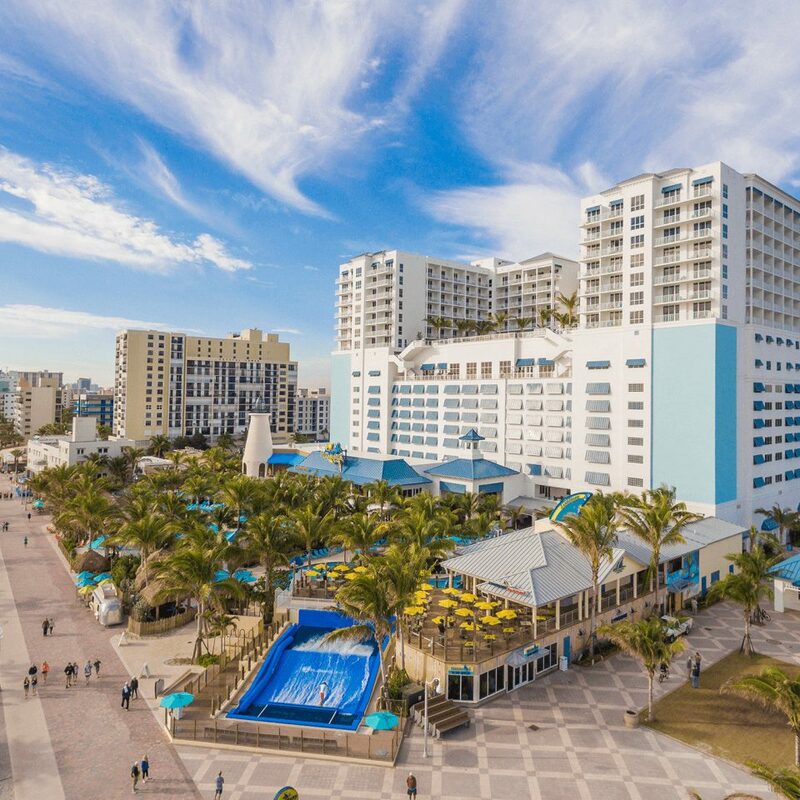 Find it at Margaritaville Beach Resort Hollywood Beach, where the lyrics of Jimmy Buffett come to life. 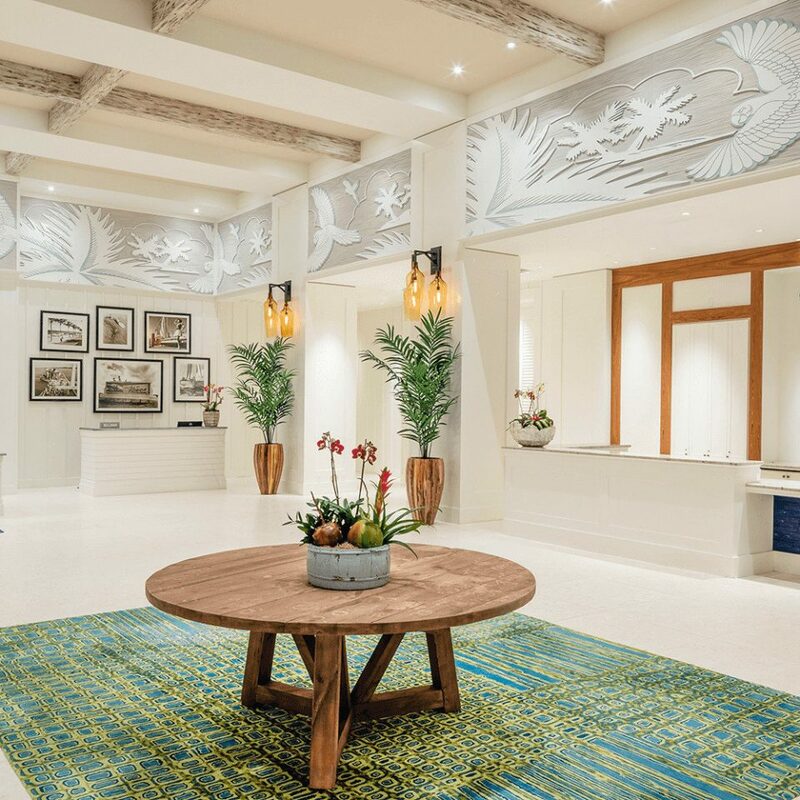 Here, the cocktails are handmade, the food is coastal-inspired, the rooms are lavishly laid-back, and the South Florida ocean is just steps away. 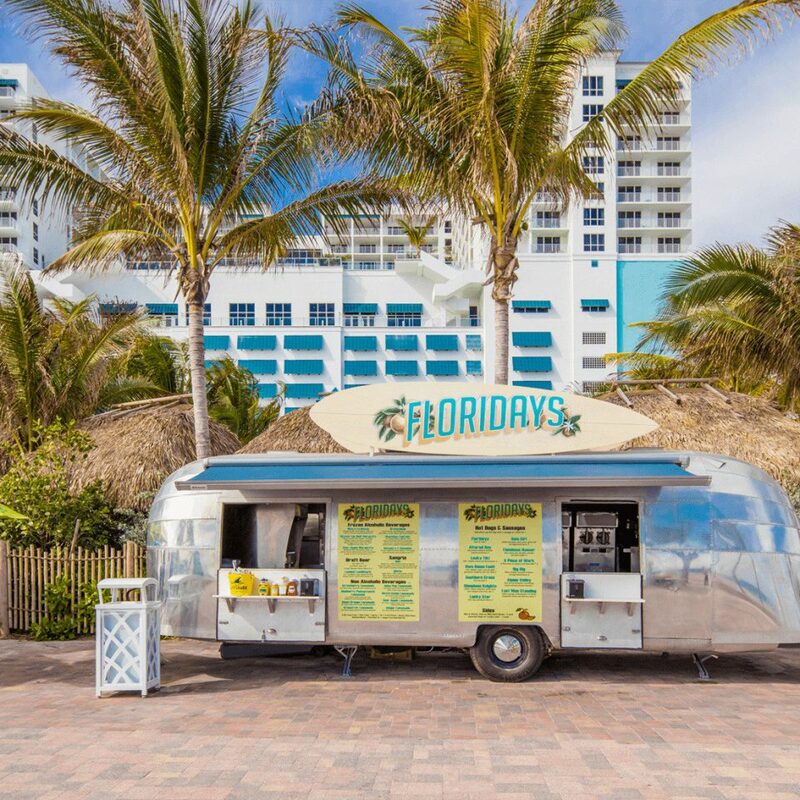 To put it in simpler terms, you’re due for a margarita the moment you arrive – since on this stretch of the Hollywood Beach Boardwalk, it’s always five o’clock. 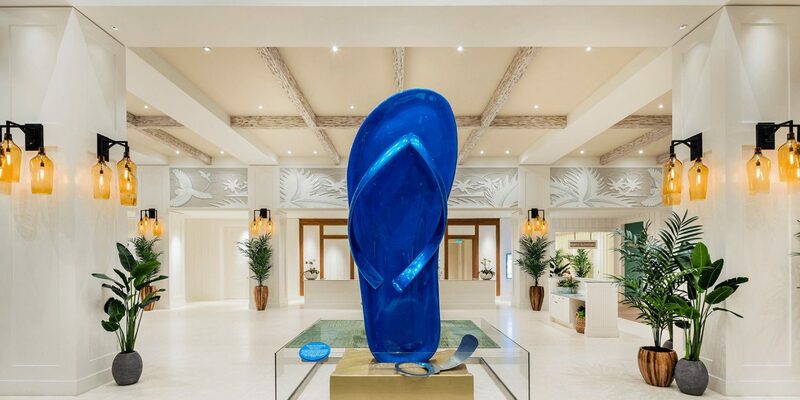 Kick off your shoes, go barefoot in the sand, and choose what’s next, after your first foray into 24-hour happy hour. 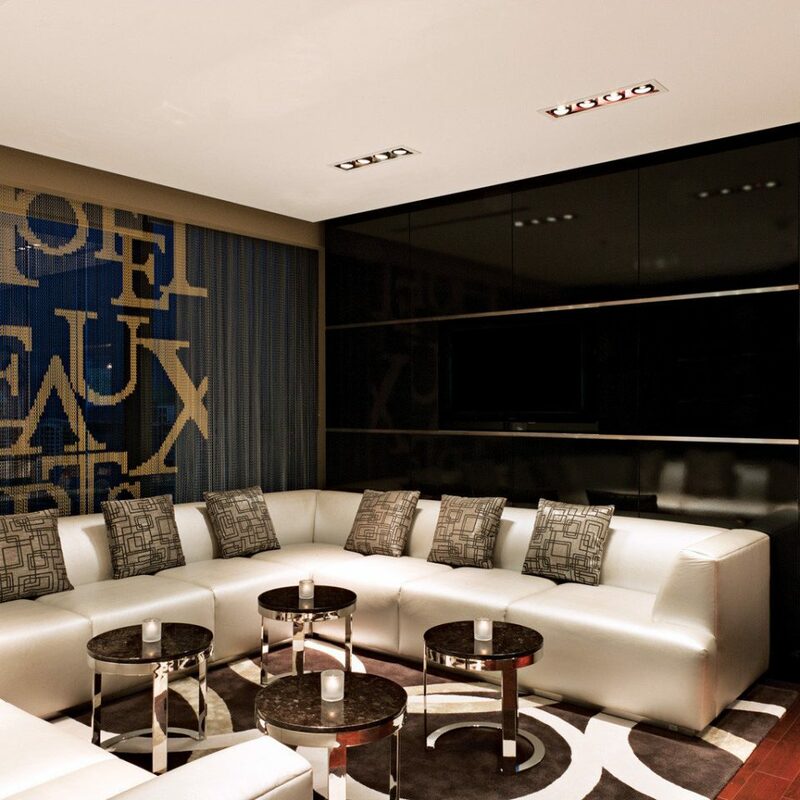 Will it be St. Somewhere Spa, with its 11,000-square-feet of space for beachy treatments? The resort shops? The seven bars and restaurants or three pools? 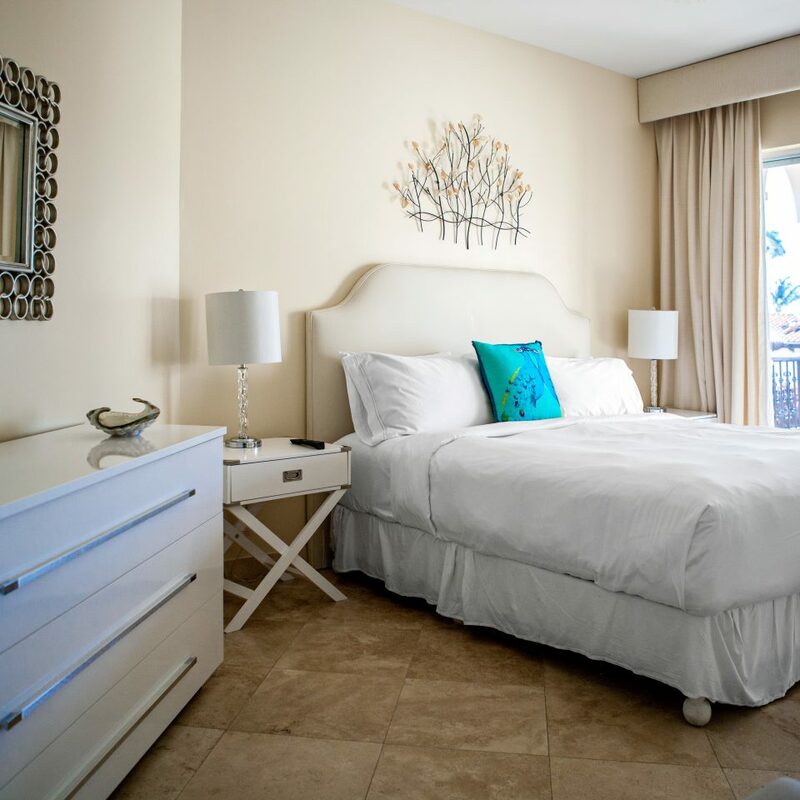 Your guestroom retreat, so you can unwind from all the unwinding? 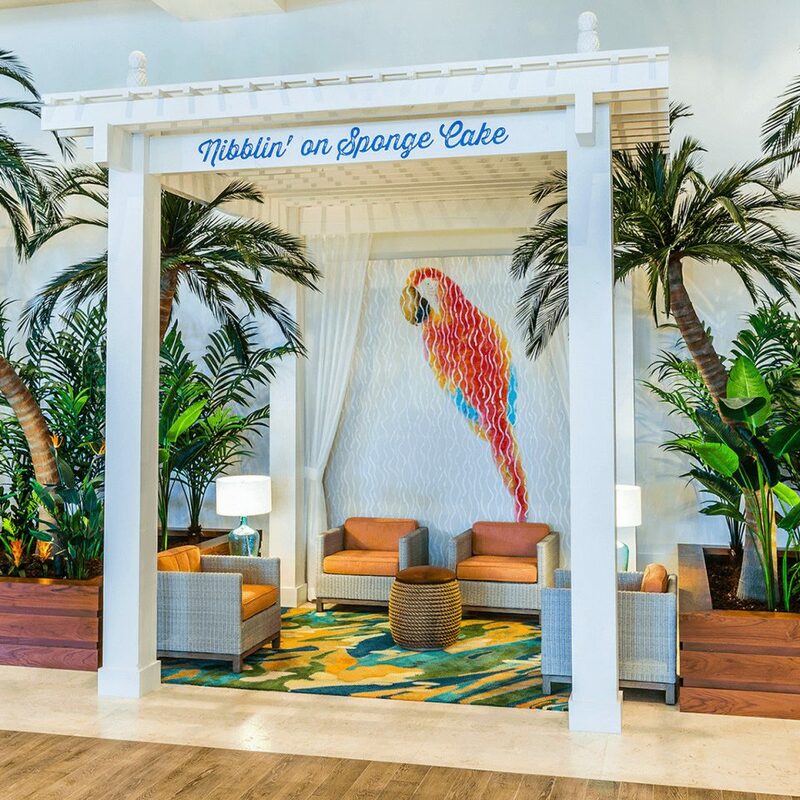 Or you can opt out of picking just one and try them all, since it’s not just salt, but all the tropical ingredients, that this tiki bar of a resort is bringing together and shaking up. 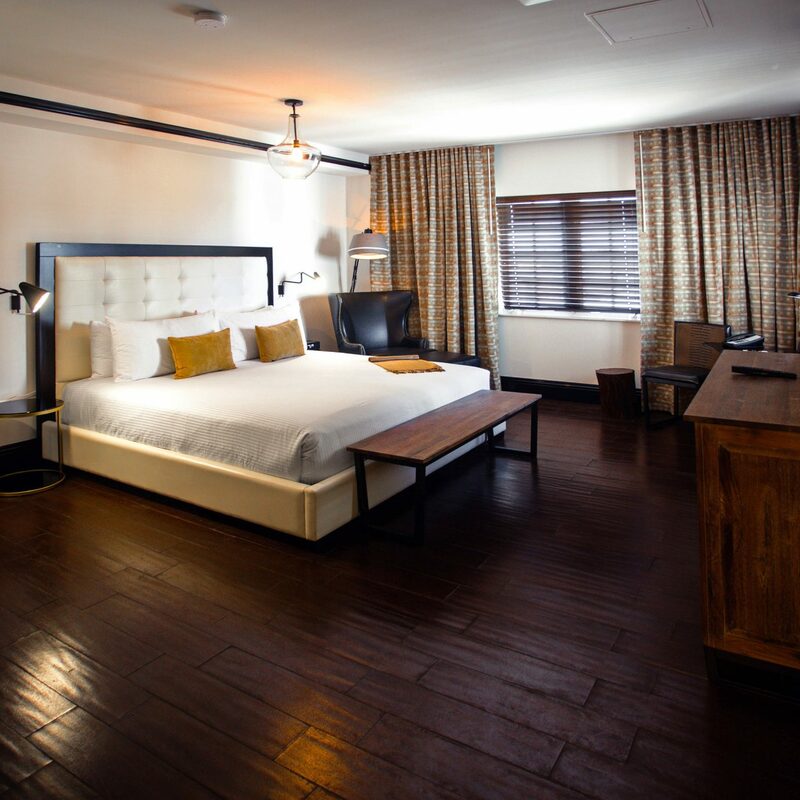 Please note that a resort fee of $25 (plus tax) per room, per night is payable directly to the hotel. The resort fee includes bottled water, access to Fins Up! 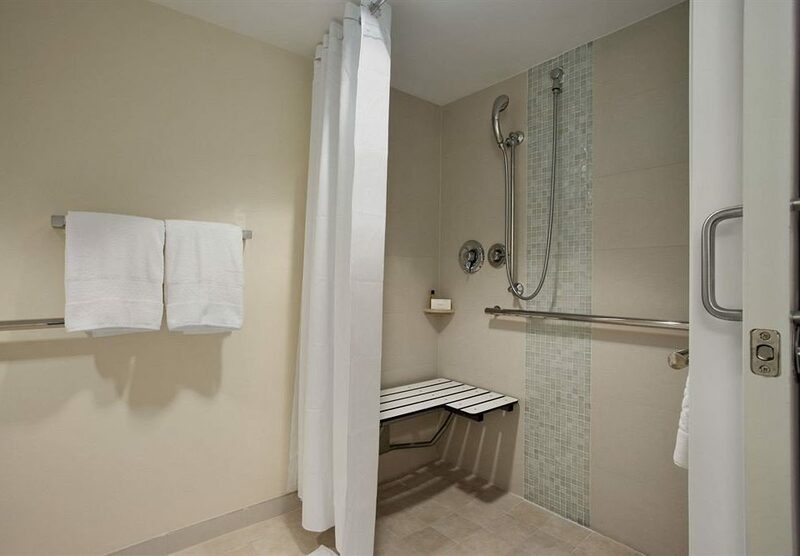 Fitness Center, towel service, two beach chairs, Wi-Fi throughout the resort, in-room coffee and local phone calls. 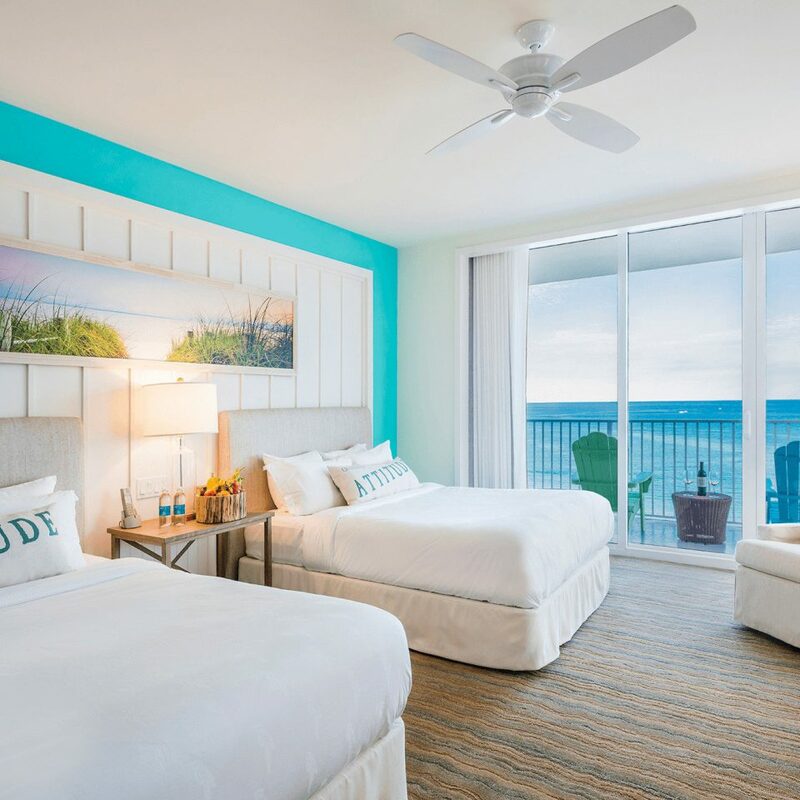 The Margaritaville accommodations are the perfect blend of contemporary, coastal and calm, with their casual design, sleek furnishings and beachy accents that will have you sleeping in till noon, waves crashing outside. 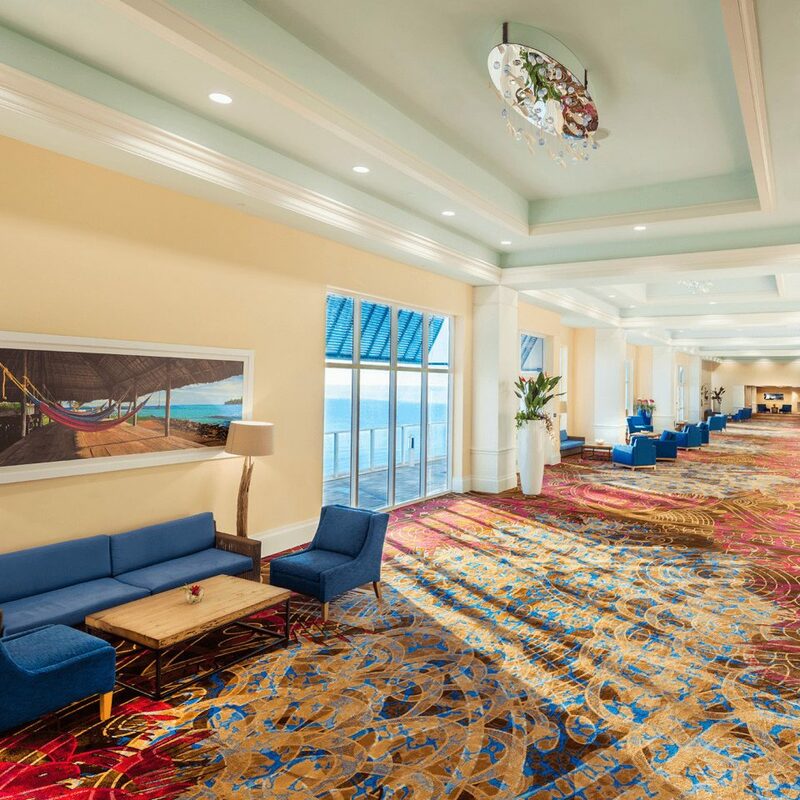 Modern extras like Internet access provide the comforts of home, while the sand, sea and sky colors in your accommodation’s palette will also help you disconnect from it all.Deluxe Ocean View rooms range from 450 to 600 square feet and boast views of the Intracoastal Waterway or the sparkling Atlantic from their private balcony. They also offer your choice of one king or two queen beds. The Paradise Ocean Front King room is identical, save for its views; these accommodations gaze directly out over the ocean. 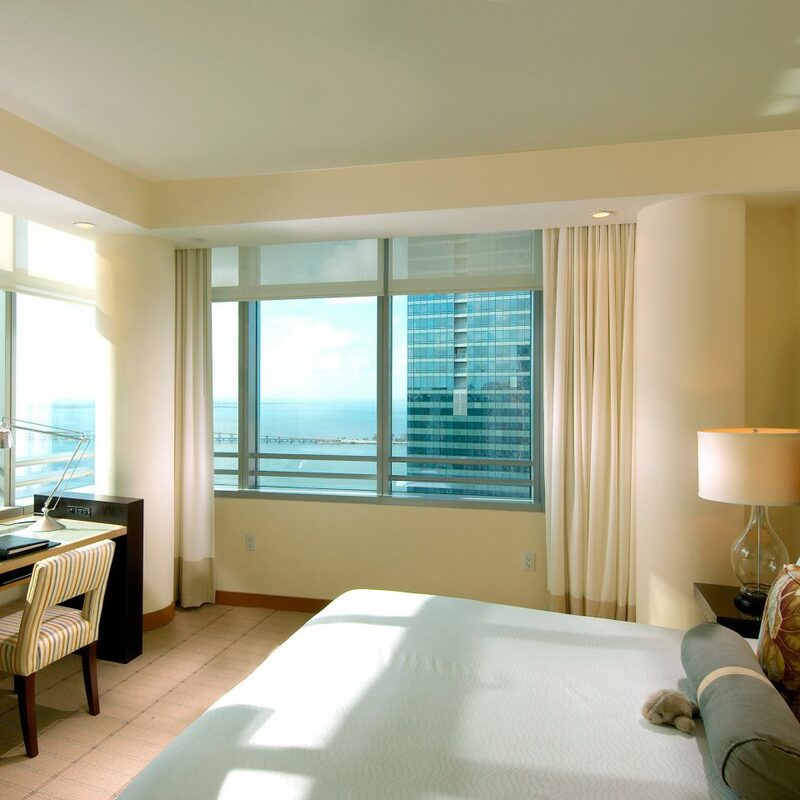 For even more space, but similarly glorious ocean views, choose the 740-square-foot One Bedroom suite, which contains a separate living area and bedroom. 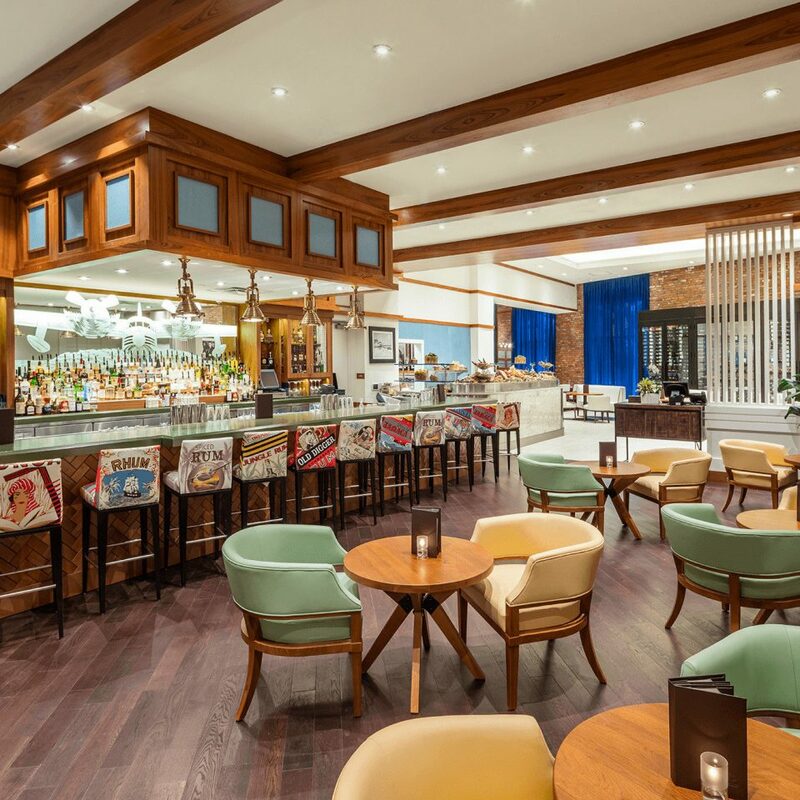 With seven restaurants and a coffee shop to choose from, you’ll be getting way more than a cheeseburger in paradise. 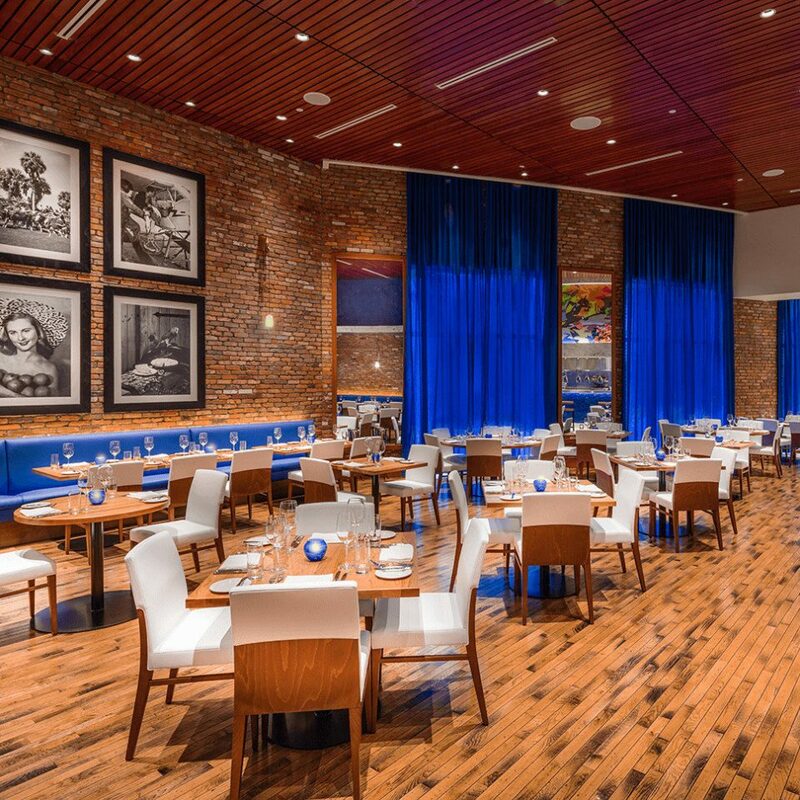 Go upscale with JWB Prime Steak and Seafood, or keep it casual at several bar and grills, a café and, of course, Margaritaville – Jimmy Buffett’s famous ocean-inspired kitchen, with handcrafted cocktails, a laid-back atmosphere and live entertainment. Serving breakfast lunch and dinner, this popular spot gives you dishes from Key West chicken quesadillas to seafood mac and cheese and beach tacos. 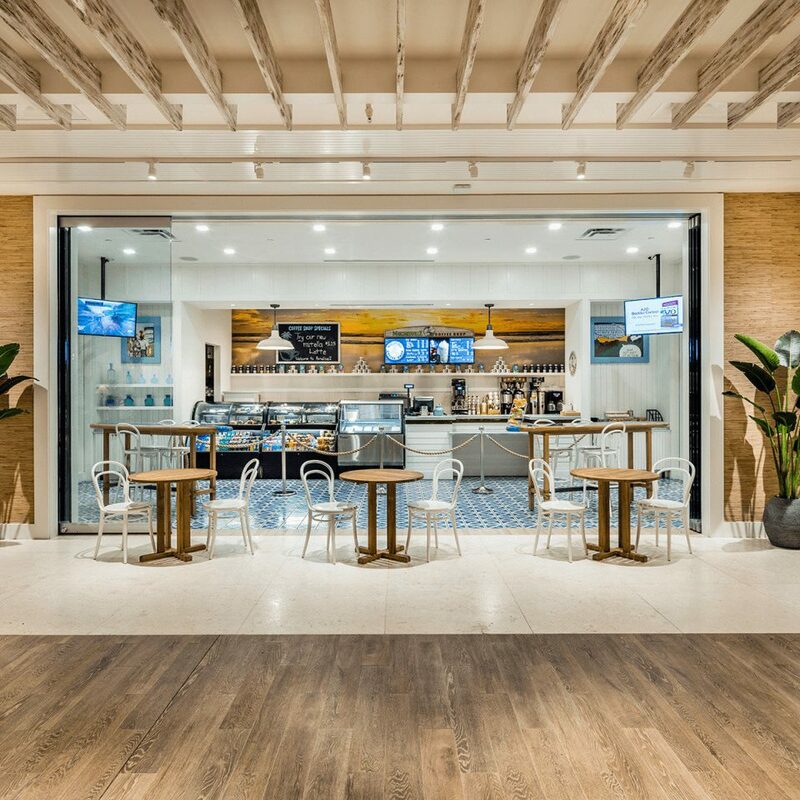 And when you need a little pick-me-up, Margaritaville Coffee Shop is the perfect place for you to escape the daily grind. 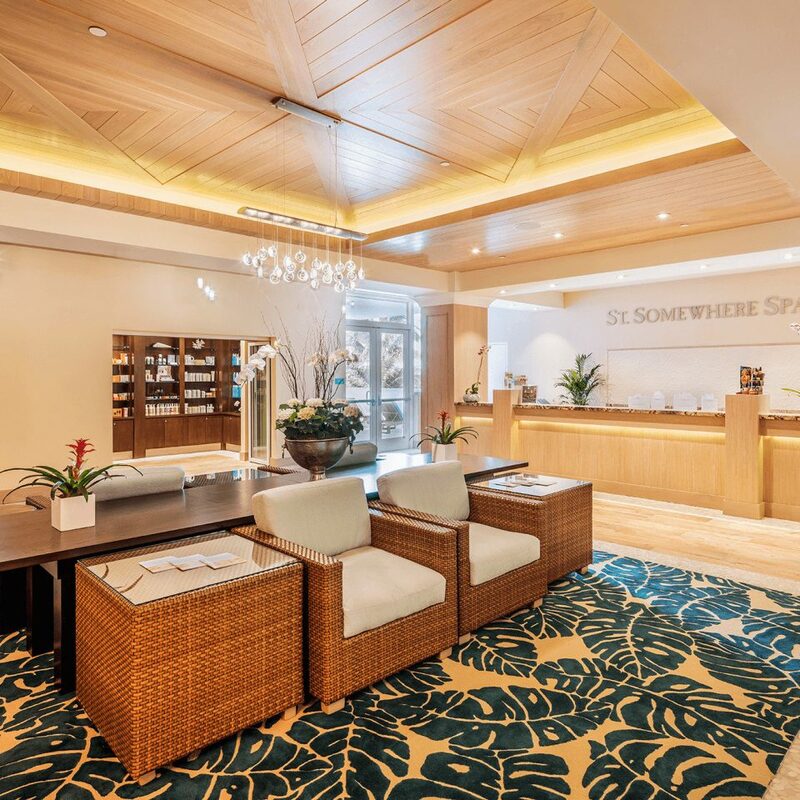 St. Somewhere Spa gives you the requisite license to chill, with 11,000 square feet, 11 treatment rooms, steam rooms, a scrub room and rain showers. 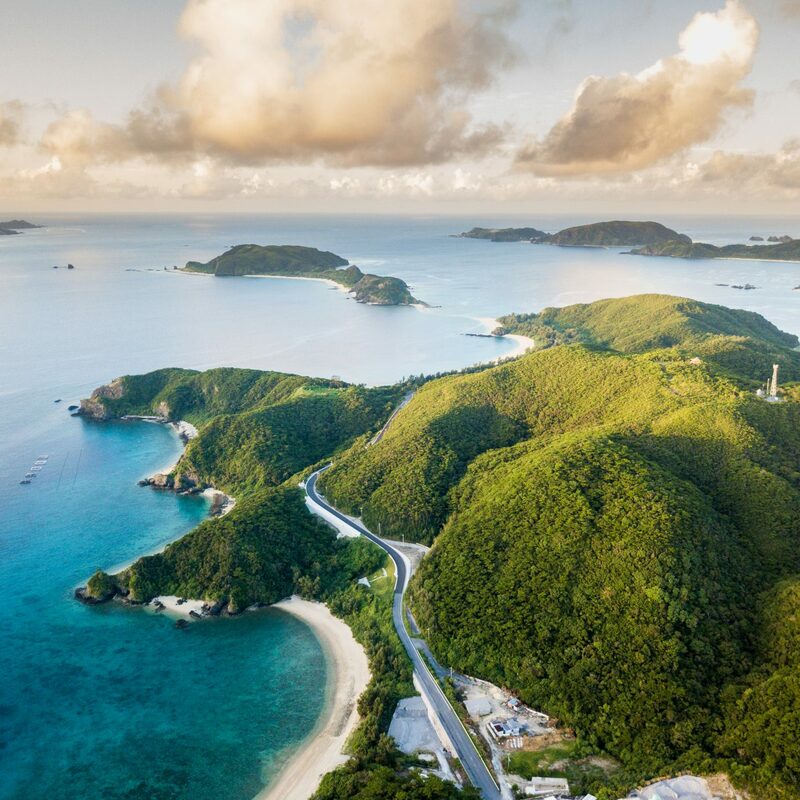 Choose from an extensive menu of treatments that will transport you to your own private beach, including the Lost Shaker of Salt Scrub, Island Tides Seaweed Wrap and Tequila Sunrise Facial. The full-service salon also offers hair care, nail services, waxing, makeup and instant lifts. 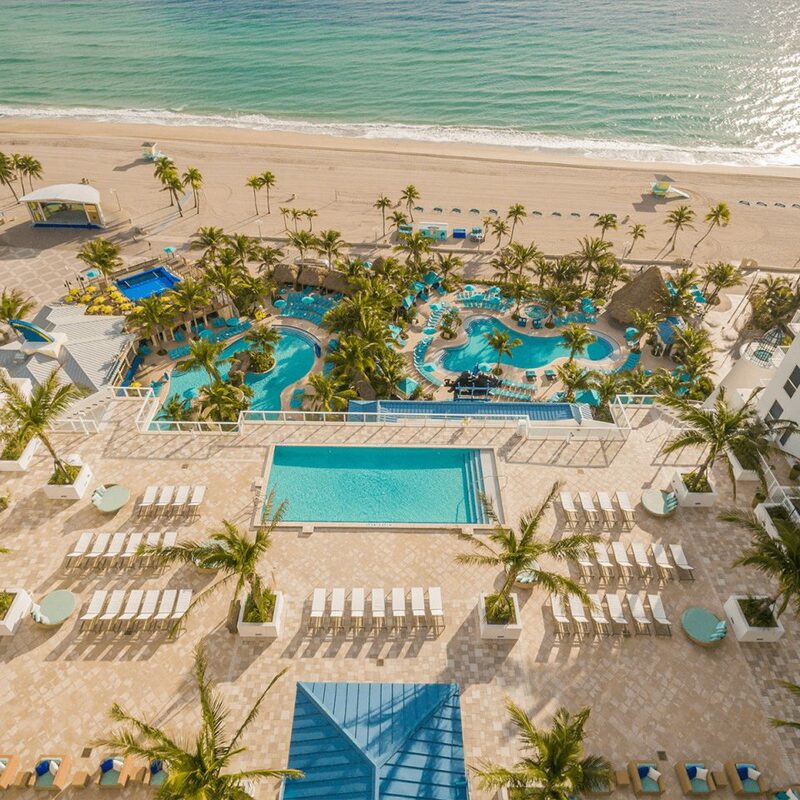 An eclectic beach town with a European charm and a Californian free spirit, Hollywood Beach is the perfect South Florida destination when you’re looking for an oceanfront getaway with personality. Quaint shops, cafes and nightlife line the 2.5-mile famous Hollywood Beach Broadwalk, which is always busy with strollers, rollerbladers, bikers and joggers, staying active with a view.Nearby are historic downtown, Miami Beach, Fort Lauderdale and the many beaches that separate charming South Florida from the clear blue Atlantic Ocean. Never empty and she always greeted us. One meal..chicken was tough, chicken sandwich...bread hard, no flavor to slaw.. shrimp not great.. This resort is Paradise. 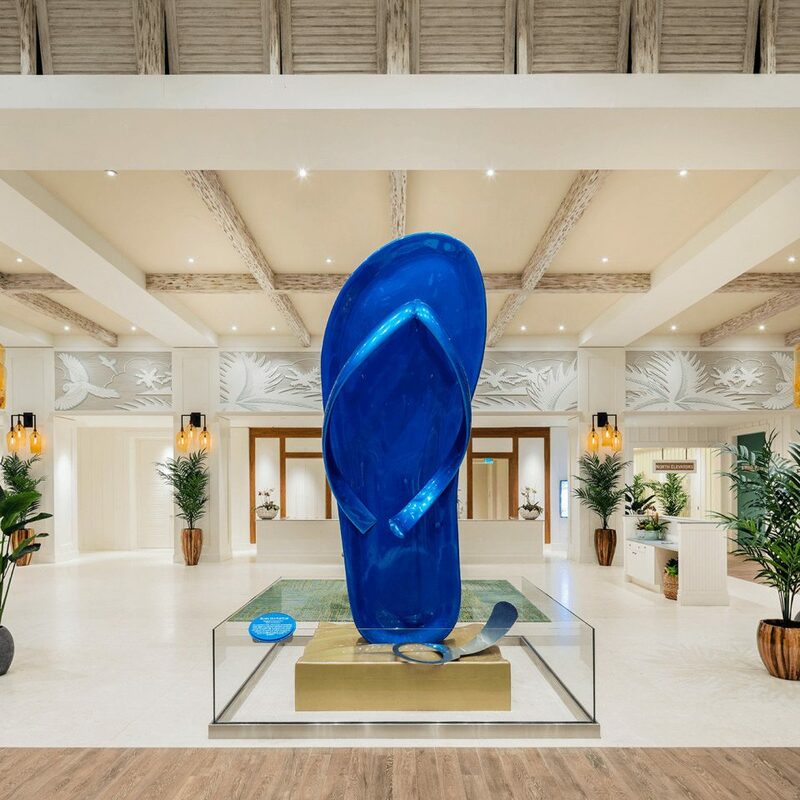 As soon as we entered the Resort the Check-In at the Front Desk employees were so friendly and the lobby "beautiful" …. 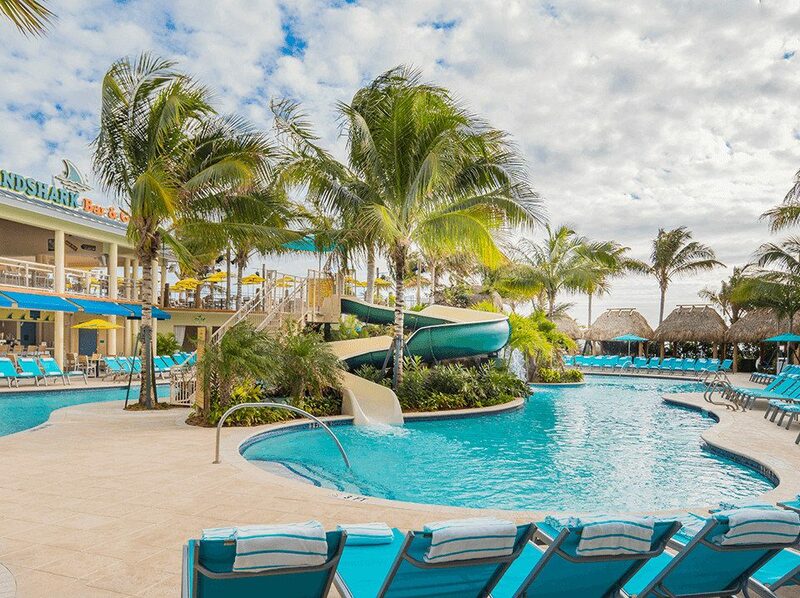 we knew right away this was going to be a great week … Our Room was spacious Clean and our View was wonderful … They have three pools one is an Adult pool and two BIG family pools …. 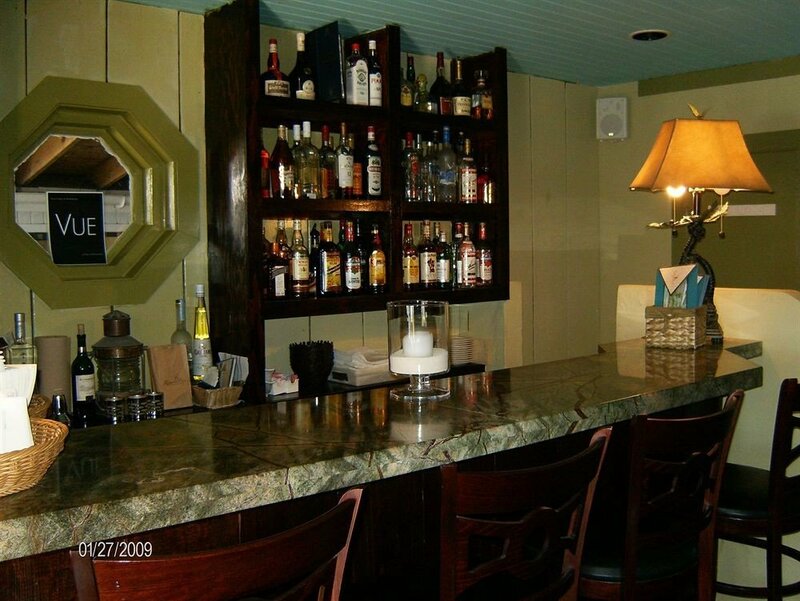 each pool had a bar and music …. The resort is right on the beach with beautiful loungers for their guests if you choose to go on the beach. At night they have a band shell on the beach with some great bands playing … and the Margaritaville Bar in the resort had a different theme every night So many restaurants and bars along the board walk on either side of the resort. We did try all restaurants and we loved " 5 o'clock Somewhere " just a casual flip flop bar on the coastal side with awesome tacos and drinks (this is also where you can take the water taxi ) …. THANK YOU TO ALL THE WONDERFUL EMPLOYEES …. fins up !! I attended a work conference here and extended my stay with my family for vacation. Overall the resort is overpriced and overcrowded for what you get. Service is lacking and most employees are rude and acted annoyed whenever we asked questions. We waited in line at the coffee shop for 15-25 minutes most days to get our morning coffee. The pools are very nice but so crowded that you can’t really swim around, or sit back and relax as it’s difficult to find open chairs by the pool. The rooms are clean but very basic. Our family of four (2 children ages 3 and 7) was placed in a room overlooking a nudist hotel. My 7 year old daughter got quite the view of old men butts and other body parts. Obviously the resort knows about this hotel next door and should be more careful when placing families in their rooms. At checkout we were credited one resort fee ($20) to compensate for the “inconvenience”. I was actually offended by this, as it’s not an inconvenience, just simply irresponsible of the resort to ignore the fact that my children would be exposed to that. The food was hit or miss, definitely overpriced which is expected at most resorts. However I don’t expect to pay $8 for the kids Mac and cheese that was Kraft straight out of the box. The wait time at the restaurants was insane. You have to plan and build in the wait time into your daily schedule, otherwise you’ll have some hangry kids to deal with. We would not go back to this resort. Not at all my idea of a relaxing vacation. 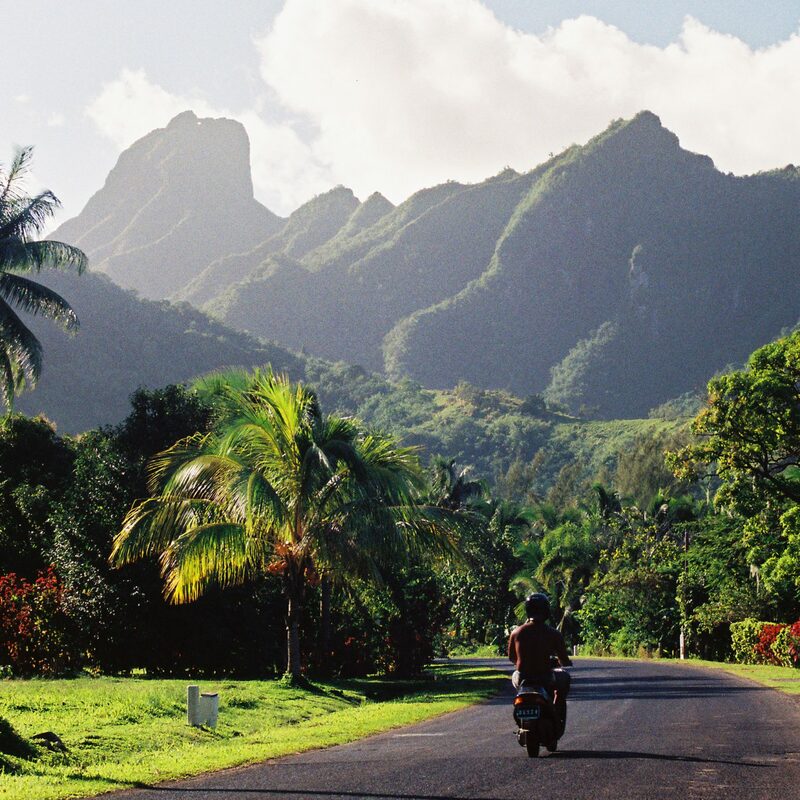 If you’re going to spend the big bucks on a resort vacation, I recommend looking elsewhere.